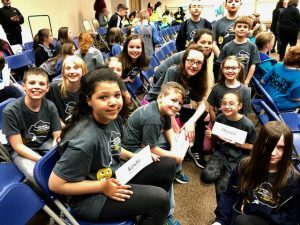 Home / BES Slideshow / BES Wins HCS Elementary Battle of the Books Competition!!! 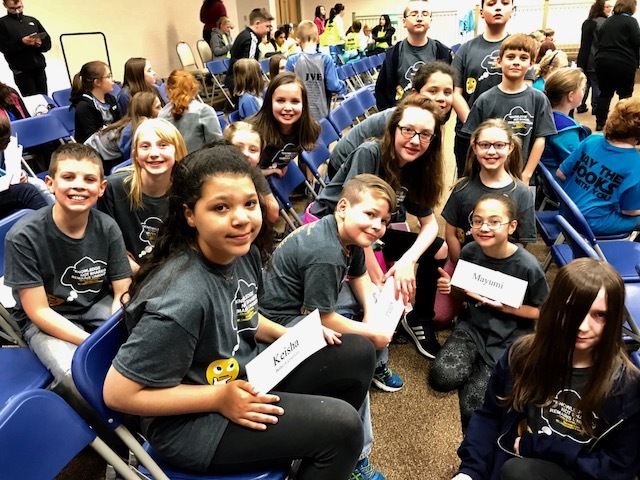 On Tuesday, March 27th, teams from all HCS elementary schools competed in the annual Elementary Battle of the Books Competition. Teams consist of up to 12 students who each read from a list of 15 books to prepare for competition. Battle of the Books is a statewide competition sponsored by the North Carolina School Library Media Association. It is a team-based, quiz bowl style competition in which a group of up to six students at a time work together to answer questions pulled from a list of books that has been specially chosen for that year’s competition. School teams compete against one another in their own districts, with one winner from each advancing to a regional competition. 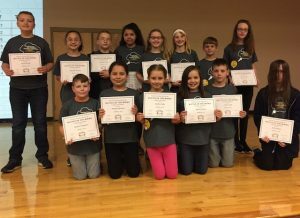 Bethel Elementary School won this year’s competition and will go on to compete in the regional competition, held on Tuesday, April 24th, Hosted by Haywood County. Way to go BETHEL!!! !